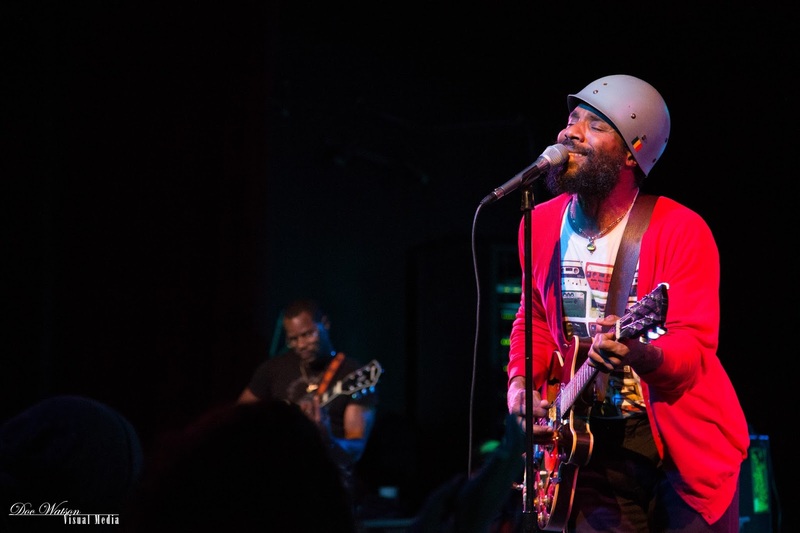 Cody Chesnutt's return clearly proves his decade-long hiatus from recording (largely performance as well) was a period of musical and personal growth. In 2002 Chesnutt released his first full length EP "The Headphone Masterpiece," a true work of art crafted in his bedroom on a 4-track cassette recorder. Shortly after, Cody had a brush with stardom when The Roots remade one of his songs into "The Seed (2.0)," (featuring him on guitar and vocals) which has aired heavily on mainstream channels to this day. Cody spent the majority of his time since focusing on his family and, apparently, building up a surplus of creative power. There is certainly not a lack of musical talent amidst the airwaves these days. However, it is seldom that one comes across an artist with the raw, innate soul like that of Cody Chesnutt. Every fiber of his being drips with a musical prowess reminiscent of icons like Mayfield, Rawls and Junior Marvin. Born in 1968, Cody is not new to the scene. However, after a long history of being too oft overlooked, he never became the household name his musicianship has long deserved. Chesnutt is touring on his second full-length album "Landing on a Hundred," which was released in 2012 after being recorded at the legendary Royal Studios in Memphis. His new material is raw, sincere and beautiful. His subject matter has matured, and "Landing on a Hundred" speaks of struggles with everything from honesty to crack addiction. Last night at The State Room in Salt Lake City, Chesnutt was getting over a cold and not once did the sanctity of the music suffer. "Sorry for the vocal chords, it's a human thing I hope you understand," he sang in his encore before exiting the stage. From the moment he walked onto the stage, the energy was palpable. Each song, a truly visceral experience. Chesnutt engaged from start to finish, spending much time singing from within the audience. At one point he was serenading an enthusiastic fan while she tap-danced the rhythm to his soul fueled melody. Backing him all night was an impressive four-piece band made up of true southern rock n' soul veterans. 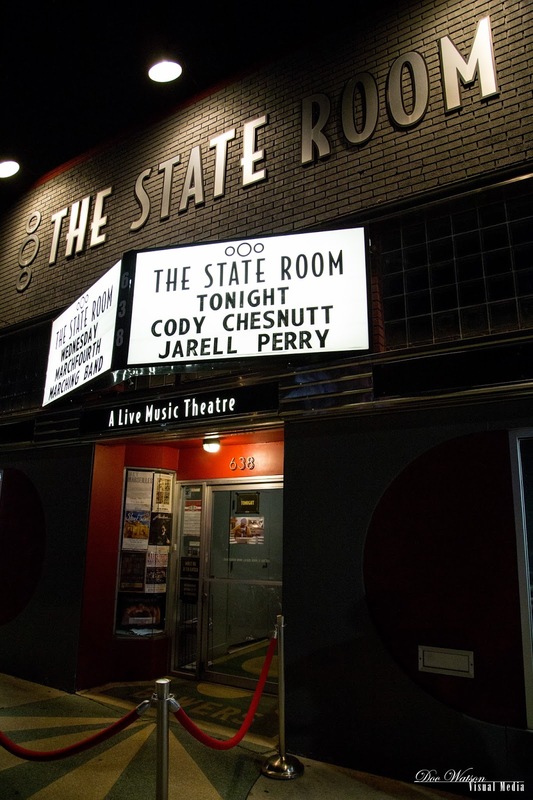 On tour with Cody Chesnutt is the young and impressively talented Jarell Perry. Preceding Cody's set, Perry set the atmosphere with a diverse repertoire of rhythm and blues. On his first tour, and spending his first bit of time in Salt Lake City, he genuinely enjoyed himself from start to finish. I underestimated his vocal control and range. He brought true talent to the onset of the show, and was a pleasure to witness. Sitting on the side of the stage, slowing things down he shared some never before performed songs that instilled in me hope for the genre. I'm rarely as impressed with opening acts, and was delightfully surprised. If you're not familiar with Cody Chesnutt, do yourself a favor and follow some of the links below. I assure you, any fan of music will appreciate that which he has created. In talking to him after the show, I realized his passion truly is relentless. As he greeted fans, everything signed was kissed by him and he was sure to try and remember everyones name. 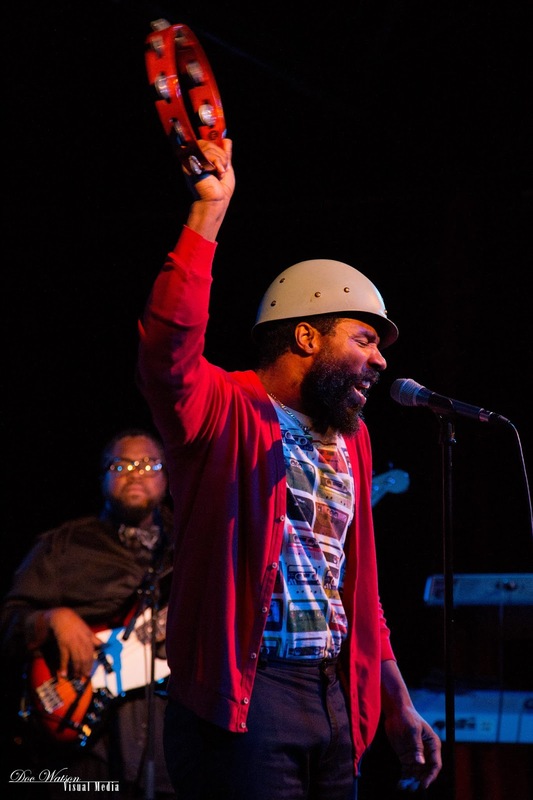 These are things that may seem inconsequential, yet are testaments to the beauty of Cody Chesnutt's true character. Please check out more photos from my Flickr set here.